Halfway. Well, for people who have 40 week pregnancies it's halfway, I still have another week before I really think I am more than 50% done. Aches, pains and other: Heartburn, heartburn,heartburn. Milestones: It's a healthy boy! Umm, remember last week when I was only 6lbs up total. Did I gain 4lbs in one week? Maybe. I didn't really track last week but I don't think I over ate by 14,000 calories. I'm blaming the pregnant lady's stand-by, water retention. My weight can seriously fluctuate by up to 5 pounds in a 24 hours period these days. Luckily, Fall has come to town and I am actually doing some walking. I've also decided to sign up for a Saturday morning prenatal yoga class. 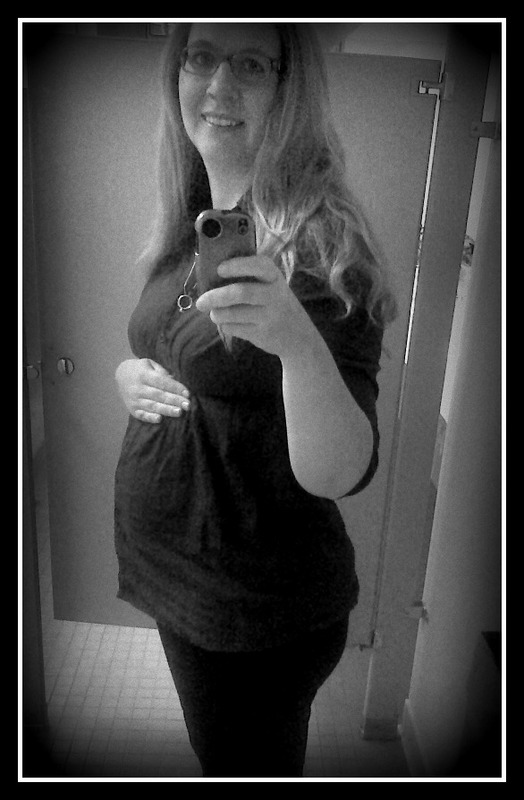 And yet, I don't feel like my belly is really getting that much bigger. I'm not worried about the baby or anything, I know that it is growing fine. 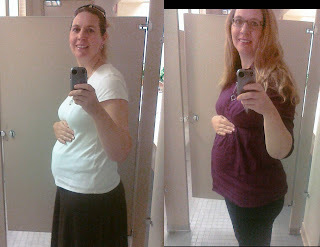 But when I look at my 16 week belly shot versus my 20 week, I don't see much difference. Not a big deal, I will be ridiculously large in no time.